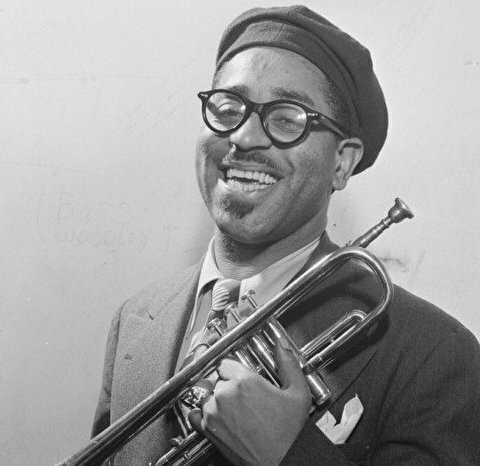 My newest trumpet project is about my biggest hero Dizzy Gillespie. This year its 100 years ago he was born and i honour him by playing his music. I have listened all my life to this fantastic trumpet player. For me he was far the best and most impressive horn player i ever heard. Once i met him during the North sea jazz festival in The Hague...a moment i will never forget. Specially for him i wrote a song called I'm Dizzy, and the video you can see here right now! With my band i am recording his tunes right now and i hope to release some more soon. On the 21st of oktober 2017 my greatest hero trumpet legend Dizzy Gillespie was born 100 years ago. That night i had the honour to play at the Dutch live radio 1 show called 'met het oog op morgen' and had a talk with talkhost Max van Weezel. We talked about his life, how i discoverd Dizzy and the time that i met him in person. Together with Dave Breidenbach on bass, Folker Tettero guitar and Dwight Muskita on percussion we played one of his tunes called 'i couldnt beat the rap'.